As a child, I begged my parents to let me go to summer camp. They agreed, and I spent one of the best weeks of my life at a camp with some of the girls who attended my school. There were a few new girls, but for the most part, I knew the girls who shared the A-frame cabin with me. We hiked, gossiped as only pre-teen girls can do, stayed up way past curfew, and spent an uncomfortable night on the camp tennis courts. The fact that we were on concrete didn’t dampen our spirits. We were at camp, sleeping outside of the cabin, and nothing else mattered. That was my first experience with summer camp, and I never forgot it. I would later go on to work at a residential camp in the North Georgia mountains. Out of all my summer jobs, that was perhaps my most favorite. There is something special about being away from everything and getting to know other people, and most importantly, yourself. Who I am now has a lot to do with my experiences that summer. There is a part of me who still longs to be at camp. I suppose those longings will never go away. As an adult, I have often wished that I could go back to the days of my childhood and spend every summer at camp. I wish that there was a place where I could go and spend lazy days at the waterfront, sneak out of cabin and visit the cute boy I’d been eyeing all week, and then I could sit on my bunk and write letters home telling of my grand adventures. Perhaps when I retire, I can cash out my teacher retirement and make an adults only camp. Others share my dream, right? After a twenty plus year hiatus, I went to camp again. Actually, I didn’t go anywhere except to my living room. Through the magic of the Internet, Google Hangouts, and the dedication of some wonderful educators, I participated in my very first #edcampHome. I had heard of attending edcamps before but time and life got in the way of attending. Now I have a new job, and I have time to attend. While researching other things, I saw the ad for #edcampHome. Being intrigued, I looked and was instantly hooked on the idea of virtual learning. I admit that I think I know a lot about pretty much everything. In the last week or so, I realized I don’t know as much as I thought. I will start my new job as an Instructional Technology Coach in a week. I have had some pre-work assignments to do, and while trying to complete my tasks, I found myself quickly getting overwhelmed. In an effort to get one thing done, I would come across something else and something else, and the next thing I know, I’ve forgotten what I started looking for in the first place. 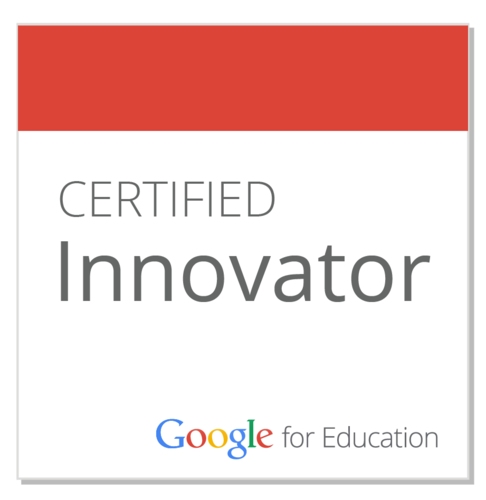 Without a second moment’s thought, I registered for #edcampHome and joined the Google+ Community. I guess I was so anxious for camp to start, I misread the camp information and was sitting in front of my computer promptly at 4:00 P.M. I couldn’t understand why I was seeing a message telling me camp would start in 3 hours. Oh, 4:00 P.M. PST means Pacific Coast Time. I live on the East Coast, so camp was not about to start for me. So, patiently I waited. Okay, maybe not patiently. I quickly cooked dinner, wolfed it down, and situated myself in front of the computer again. I can admit now that I was giddy or as giddy as a 45-year-old can be sitting in front of a computer waiting to chat with strangers at a place called #edcampHome about unknown topics. From the moment the broadcast went live, I was hooked. I was fascinated because I was seeing people from all over the world, and we were all there for the same purpose. We wanted to discuss the very things that would help our students be successful in and out of the classroom. We were like-minded people working towards a common goal. Nevermind that we were in different places with different job responsibilities. We brought those differences together in order to facilitate discussions on too may topics for me to list. Having never attended an edcamp before, I wasn’t sure if I was going about session sign ups the right way. I signed up for a couple of classes and waited to see where I would end up. Luck was on my side. My first session was on student blogging. I have been a blogger on and off for a number of years. I have not been consistent with it though my desire is to be a world-famous writer. Go figure. I want to write but don’t have time. In my first session on student blogging, I was joined by @SLOlifeKevin, @MathButler, @KOgden97, and @HeckAwesome. I hope I didn’t leave anyone out. If I did, sorry! We had a good dialog about student blogging – what platform to use, whether or not we should reach out beyond our schools, involving parents, and so much more. We talked so much and shared so many ideas that we sort of went over the allotted time. Before the end of the night, we had exchanged emails and had a plan to connect teachers and classes with others so that our students can be engaged in writing and commenting on the writing of others. All of this came from a 30+ minute Google Hangout. It really is like camp. You go to camp no knowing anyone, and you share so much that you become friends. In 30 minutes, we became friends. My second session was on planning an edcamp. As stated previously, I’ve never been to one, but I am fascinated with the thought of hosting one in my school district. Although I have been an English teacher for the past eleven years, I am a secret planner. Perhaps secret is not really the right word. I have a degree in planning, and love to plan things. Putting on an edcamp is on my professional bucket list. I want to share the joy I found with others. Plus, it’s just fun to put on events. My fellow edcamp wannabe planners were @SLOlifeKevin, @MathButler, @Ms_Cabiness, @mraclark29, and @megmagwire. Again, apologies if I forgot someone. We tossed around ideas, suggestions, how-twos and what not. I will be attending my first in person edcamp next week. I’m looking forward to it and planning on taking copious notes so that when we have our event, we will be ready. When I went to summer camp for the first time in 1981, I did not realize the impact it would have on my life. Every summer in high school, I was a teen leader at Rock Eagle 4-H Center in Eatonton, Georgia. Spring quarter 1988, I enrolled in a class called Basic Camp Management because I knew I would be working at Camp Woodmont that summer, and I knew that at some point in my life, the information gained in that class would be valuable. My father disagreed and called it Basket Weaving 101. Twenty-six years later, I still use that knowledge and have for every job I have had in my adult life. Participating in #edcampHome was new yet familiar. Just like my first experience at camp, the things I learned and did became part of who I am; the same can be said of my experience online with #edcampHome. It wasn’t a place I visited; it is now a part of who I am and will continue to be. ← Who gets me up every morning? Why do I do it day after day after day? If you create a teacher retirement camp, I’m attending. If you write a book, I’m buying/downloading and reading it. If you plan a Hangout, let me know. Not a problem! Thanks for reading, and I will let you know which project comes to fruition first. It’ll probably be the Hangout. A writer you are! I LOVED the introduction. Instantly pulled me in. I think an EdCamp Camp would be rediculously fun! I also totally think adults would go for an away camp…I would! I am so excited for you and your new adventure. You are not afraid to search and learn and try new things. That will give you so much strength in your new position. I am also so very happy I had a chance to meet with you and connect! You my dear are definitely a writer! I just loved the introduction. Instantly had me hooked. I also think it would be completely and totally cool to have an EdCamp sleep away camp and I would totally go to an adult sleep away camp. I am excited for you, your new job and the adventure it will be. You are not afraid to listen, to learn and to ask. All such powerful tools for you and to show the teachers you will work with. I am so very happy I got to connect with you and hope our paths cross often! Thanks! I do love camp and my most recent experience was so much fun. I have enjoyed reading your stuff as well. You are super creative and have so much passion for everything. Your daughters and students are lucky to have you. Our paths will cross often. I am going to beg you to show me how to do the artsy stuff that you do. I see another Google Hangout in our future!